If you saw the inside of our HQ, you’d know almost immediately that Speckans are the type of people who love gadgets AND geek out on all they can do- so its not surprise that we’re totally pumped for the super cool stuff coming out of E3 2014. We can’t help but tune into the highlights: the face-off between Xbox and PlayStation, Nintendo making toys, Microsoft’s 90min presentation with an extended gameplay demo of Call of Duty: Advanced Warfare, and of course the new Tomb Raider game, Rise of the Tomb Raider, slated for 2015. Are you as ready as we are? After all, it’s gamers we had in mind when we created CandyShell Grip to help you get a firm hold on your device during the intensity of advancing to the next level, the reflex-like arm movements during a passionate battle, and of course- those sweaty palms. It’s part of the art of the perfect grip on your smartphone and the sheer number of hours that you put in to be a proper GAMER. “This year’s E3 has been all about the games,” said Mashable in their recap of the day’s biggest stories, and we couldn’t agree more. 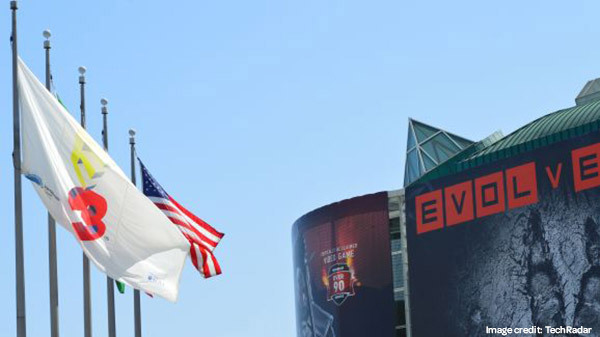 Check out what everyone is saying to recap on the excitement of Day 1, E3 2014! Wrapping up another great season of #SpeckVIPme with the Brooklyn Nets!